Safety - It's harder to practice standing judo while others are rolling around doing newaza. People fall on top of other people or trip over them. But this type of practice in separated phases mostly fails to address the transition from one phase to the next. 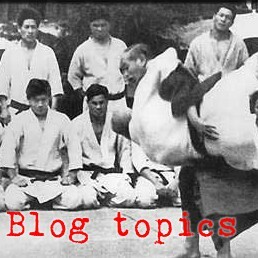 We try to minimize this problem by having most all nagekomi (throwing practice) techniques end in ukigatame (the floating hold, A.K.A. knee-on-belly) and many of our groundwork exercises begin in ukigatame. Thus, ukigatame is the transition between standing judo and newaza. 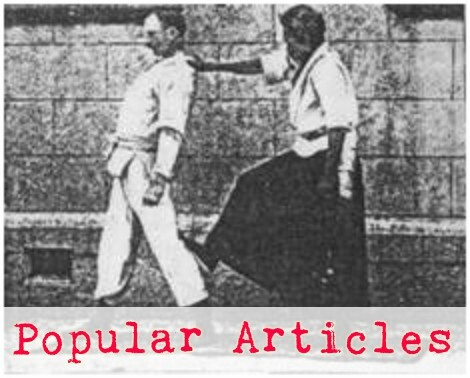 And as we saw in a previous post, since ukigatame is a core element of several aikido holds, ukigatame also represents one of the links or transition states between aikido and judo.